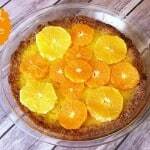 This recipe for Fresh & Easy Orange Tart REALLY caught my eye in the March 2015 issue of Parade Magazine. At the time, we were in the throes of winter with no sun in sight. 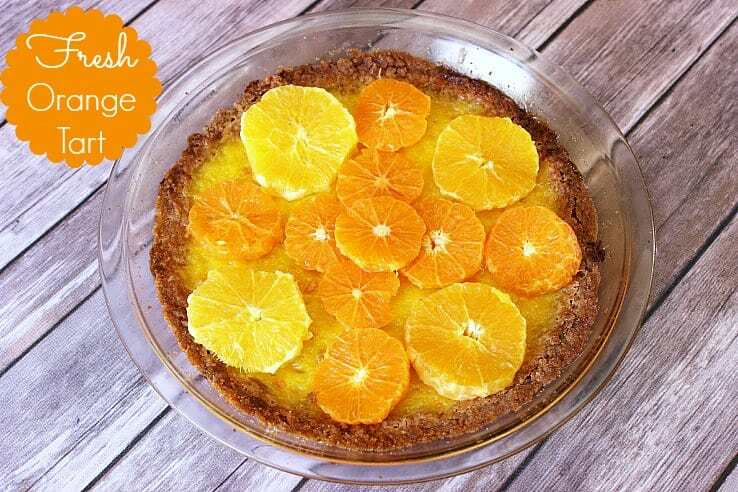 The orange and yellow colors in the magazine picture made me want to immediately run out to the grocery store to get the ingredients and make it. 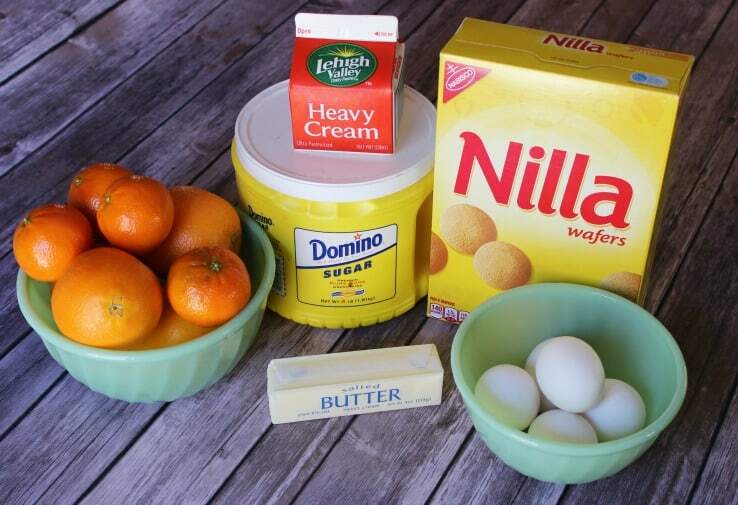 Any recipe that includes clementines, vanilla wafers, eggs, and heavy cream, MUST be good! 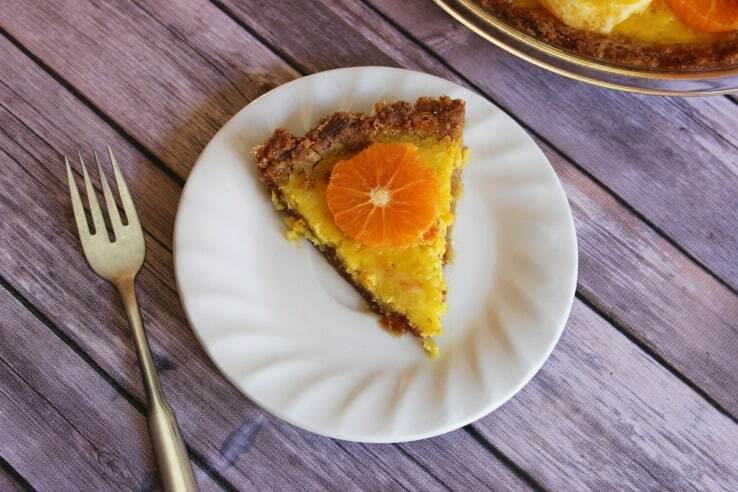 The Merriam-Webster definition of tart is “an open pie that usually has a sweet filling (such as fruit or custard)”. 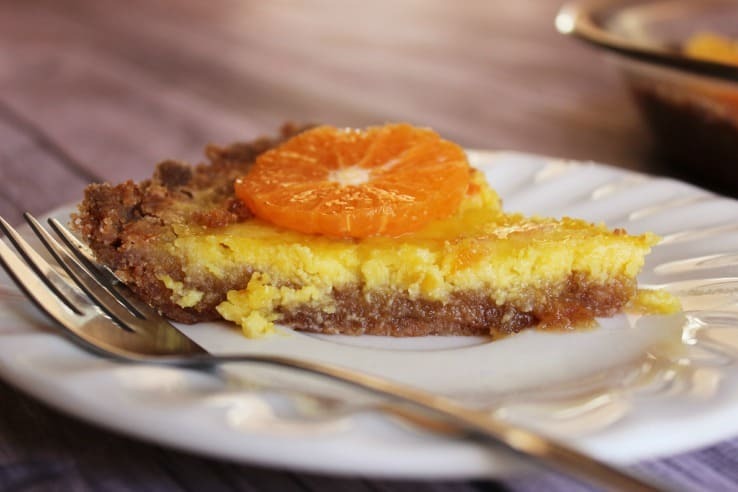 This particular tart recipe is both: fruit AND custard. 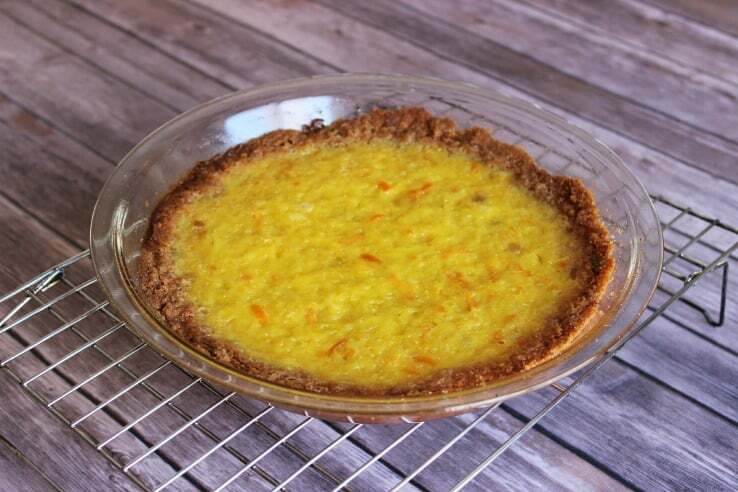 Combine cookie crumbs, butter and sugar; Press into 9 inch pie plate. Bake for 10 minutes. In a mixing bowl, whisk together juice, peel and sugar until sugar is dissolved. Whisk in egg yolks and cream. 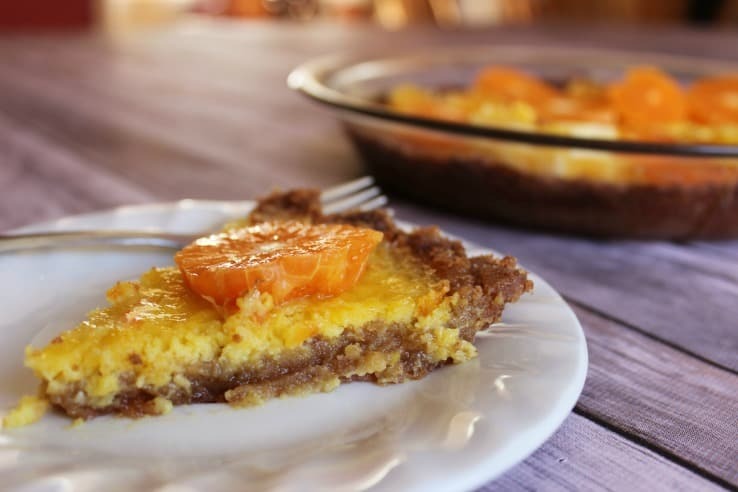 Pour into prepared pie crust and bake about 30 minutes, until set. Let cool completely, then cover and refrigerate until well chilled, at least 3 hours. 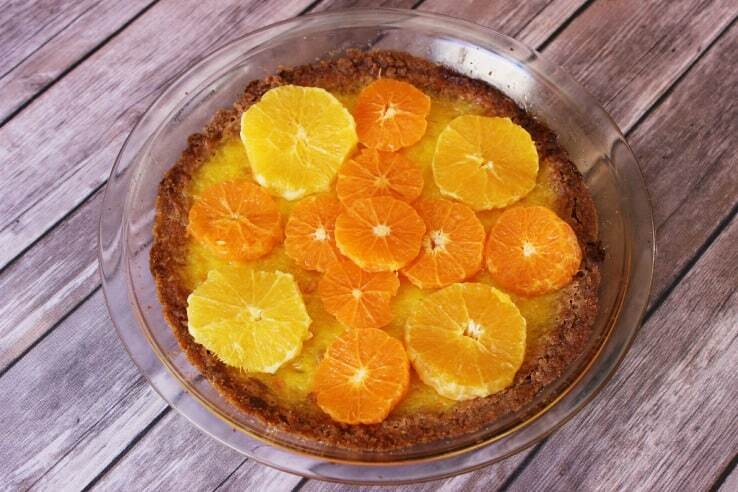 Cut the citrus fruit into circles and arrange on top of tart. 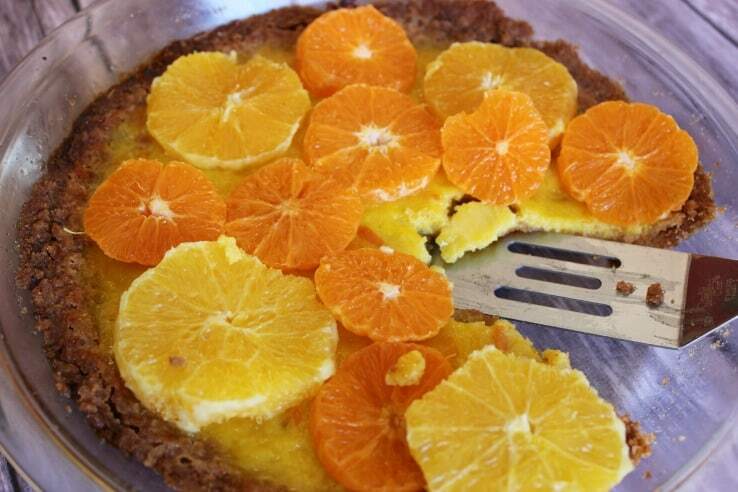 For pretty circles that preserve more of the orange, remove the peel and white pith, then cut into horizontal slices. The bulk of the time is having to wait the 3 hours for it to cool in the refrigerator. First of all, how beautiful is this?! I almost didn’t want to cut it because it was so pretty. But the aroma in the house was so good, I had to sample it as soon as that 3 hours of refrigerating was done. I took it upon myself to double the crust ingredients because, well, I just like crust. So in these pictures the crust is thicker than what the recipe would make. That is, unless you double it too! I wasn’t sure if my husband was going to like it or not. He’s more of an apple pie a la mode kinda guy. But he absolutely loved it. It totally satisfies that sweet craving. AND you can feel good about eating it because it has a ton of vitamin C with all of the sliced oranges on top. Yum! I came over from the Bloggertunities share thread. I’ll be sharing this on my Fri Faves today. Thank you for the recipe.